There is so much to consider when you’re transitioning through the divorce process. You’re living situation dramatically changes, your financial future is thrown into a state of flux, and even the role you play in the lives of your children could be threatened. The gravity of the decisions you are forced to make generates much stress, which can take an emotional and physical toll and cause you to make choices that end up costing you dearly down the road. 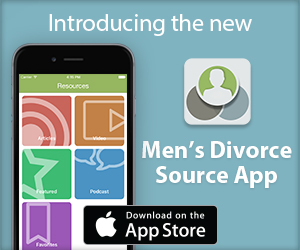 Dr. Frank Wood, psychologist and founder of Thriving With Stress, explains the effect divorce can have on guys going through divorce and gives some practical tips for managing stress. ← What Alternative Options Are There To Serve My Ex?